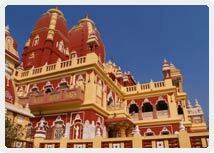 Laxmi Narayan Mandir is one of the most visited temples of this place built by Mr. B.D. Birla of Birla Group of Industries, one of the famous business tycoons of India. Being constructed by the Birlas, the temple came to be known as Birla Temple. This beautiful temple located on Mandir Marg near Connaught Circle in Delhi. This is the first temple made by Birlas across the country and till date the funds to support this temple come from Birla family. The temple is inaugurated by Mahatma Gandhi in 1939. The temple is dedicated to Lord Vishnu with his consort Goddess Lakshmi. The architecture of the temple is based on Orissan Style of constructions and decorations. The temple has tall spires made up of red sandstone. The tallest spire of the temple extends to the height of 165 feet, whereas the additional spires lengthen to 116 feet. 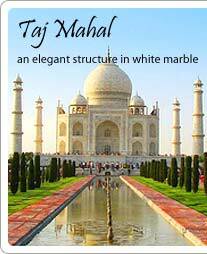 The exotic structure of the temple comprises sculptures, tall spires and Jali work. Apart from the idol of presiding deity, the temple has remarkable idols of Goddess Durga, Lord Shiva, Lord Ganesha, Lord Rama and Lord Hanuman.